If you’re working one of the many seasonal jobs in Alaska, one of the most important decisions you’ll make is how to spend your time off. While many choose to spend their time developing hobbies they brought from elsewhere, others choose to immerse themselves in an activity that’s just about as Alaskan as they come: dog sledding. Dog sledding may be the definitive Alaskan hobby. 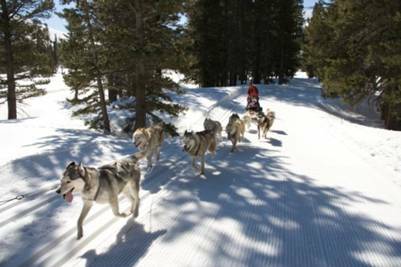 Every year Alaska hosts the world-famous Iditarod, a 1000-mile sled dog race across the frozen tundra. But dog sledding isn’t as simple as tying your pooch to a sleigh and yelling “mush!” A closer look reveals the intricacies of this awesome sport. 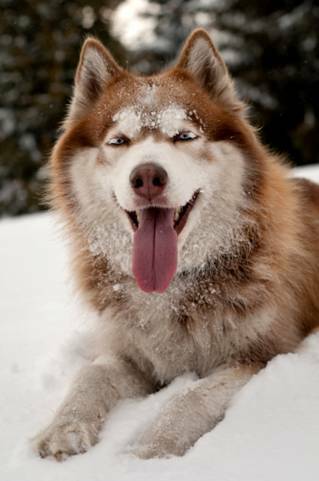 Dogs have been used to pull sleds through arctic climates for over a thousand years. There is archaeological evidence that goes all the way back to 1000 AD demonstrating Inuit communities used dog sleds. Alaska still possesses many towns that are inaccessible by road, but before the advent of air travel Alaskans relied on dog sleds to deliver supplies to far-flung towns in the winter. The most famous dog sled delivery was in 1925, when teams of sled dogs traveled over 650 miles in just 5 and a half days to bring crucial anti-diphtheria medicine to Nome, Alaska, saving the town from a terrible epidemic. 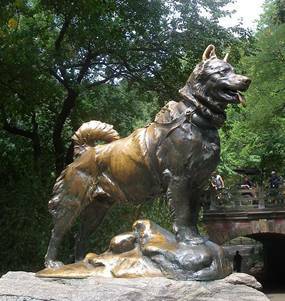 The lead dog, a Siberian Husky named Balto, became famous around the world for his endurance through the snow, and even was the subject of a major motion picture in 1995. Two of the most common sled dogs used in Alaska are the Siberian Husky (pictured above) and the Alaskan Malamute. Huskies are known as energetic dogs while malamutes have a calmer demeanor, but both are incredibly loyal dogs that owners often fall in love with. All huskies and malamutes are strong dogs with an excellent ability to pull weight over long distances, but the best sled dogs exemplify a perfect combination of two factors: speed and endurance. This combo is found most often in dogs that have short, efficient strides when they run, which is what trainers look for when selecting their teams. Leader dog- The most important dog on the team. Placed at the front of the harness, it needs to be transcendently loyal and follow the musher’s directions at all times. The lead dogs are usually the most intelligent, and always possess an insatiable desire to get around the next corner. Swing dogs- These dogs represent the heart of the team. Swing dogs possess the perfect mixture of speed, endurance, and athleticism. It can take mushers years to create the right chemistry amongst their team of sled dogs. But once they find the right dynamic, they’ll be in the driver’s seat on the world’s coolest form of transportation. One of the best ways to witness this Alaskan tradition is by working and living up here. Browse our selection of jobs in Alaska and fill out an online application. Then all you have to do is pack your bags and you’re ready to watch dog sledding on your off-time!